Every corporate office in the United States has the same brutal Friday afternoon ritual – tossing out countless lunch containers without pause or regret. Landfills are piled high with perfectly good Pyrex. Noticing that salad dressings, mustard, and other condiments are allowed to survive to the next work week, I set out to solve this problem. Now, office workers can fight back – disguising any stranded lunch as just another harmless ketchup container. 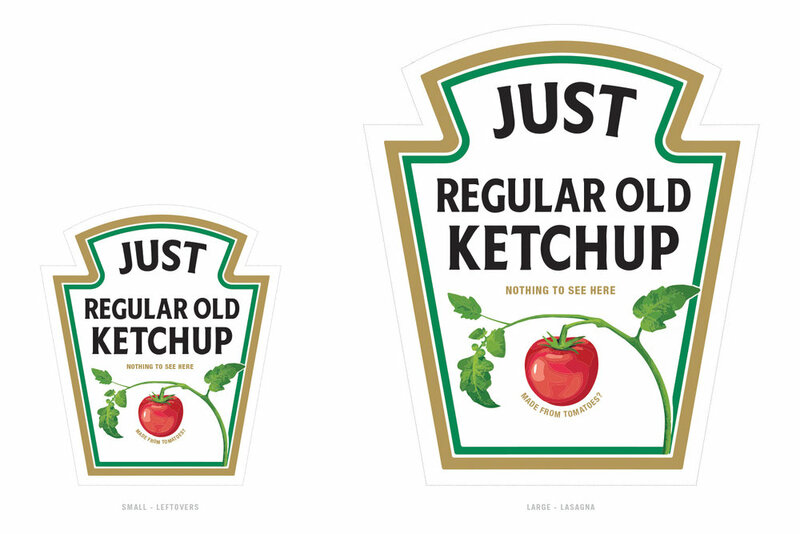 Condiment Camouflage is available in two sizes.